The January 2019 edition of FundingVoice magazine is now available online. The first edition of 2019 has several articles more than normal - we always have so many different stories its hard to select just a handful. This time its a mixture of rumours and news from some well known invoice finance companies and some specific help for manufacturers and construction sector companies. A rumour about a factoring company changing their risk policy. App based invoice finance from Investec. Alternatives if you are getting a poor factoring service. Getting credit to buy raw materials. Nucleus Commercial Finance breaking a significant target. Receivables financing for the construction sector. Recruitment research about EU candidates for jobs. Marketinvoice raise a significant amount of investment. 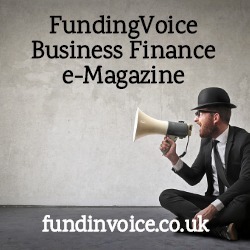 The best way to ensure you get future editions is to subscribe to our monthly magazine: Subscribe To FundingVoice - it costs you nothing.